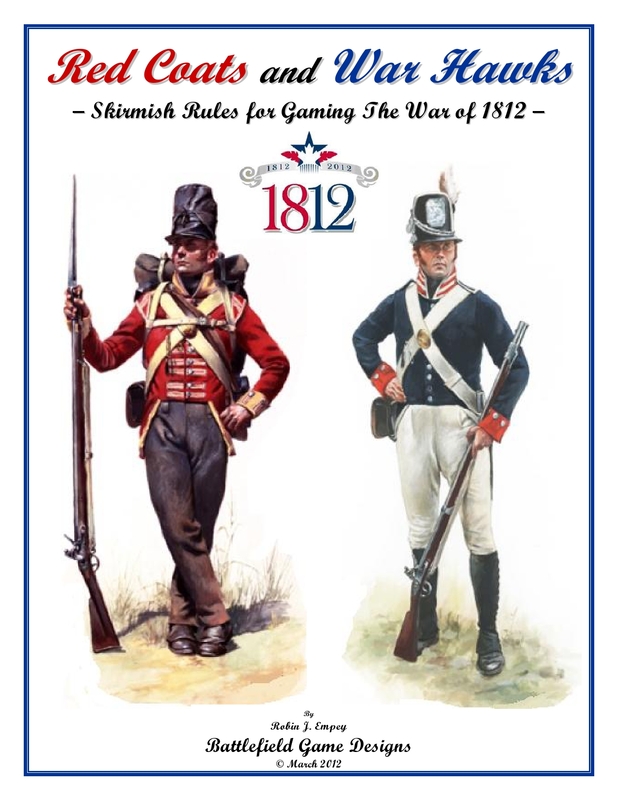 Red Coats and War Hawks is a historical miniature game that enables and encourages the reader to recreate various battles and skirmishes of the War of 1812, while using model soldiers on their own tabletop battlefield. This game has been set up as a skirmish game in which players are assigned a unit of figures under the command of an officer, NCO or hero. Each figure is given a random number of actions that they can perform in their turn while dealing with the fundamentals of warfare such as command, movement, effects of small arms fire and artillery and the role that morale plays when the stresses of battle commence. Numerous examples are included throughout the rule set and several advanced rule sections are also included allowing players to tailor games to their own preferences when using the various scenarios included or when designing their own game scenarios. This entry was posted in miniature games, rule sets, Uncategorized and tagged 1812, Aboriginal, Aboriginal war, Aboriginals, Battle of Longwoods, bicentennial, Brock, canada, Chief Tecumseh, Empey, France, General Brock, great Britain, historical war gaming, Isaac Broke, Issac Brock, miniature, miniature skirmish game, miniature skirmish rules, miniature war gaming, miniature war gaming rules, Queenston, Queenston Heights, Robin Empey, rule set, rules set, Shawnee, skirmish, squirmish, Tabletop Gaming News, Tecumseh, The Miniatures Page, TMP, united kingdom, united states, war fare, war of 1812, war of 1812 bicentenial, war of 1812 bicentennial, wars involving canada, wars involving united states. Bookmark the permalink.